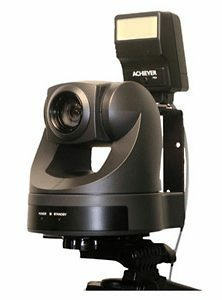 Photo ID Camera Solutions The Higgins CV27 Photo ID Camera is ideal for cost conscious customers that need a reliable and long-life photo ID camera. The Higgins CV27 is a compact camera that captures high quality photo images. Quality photos are a key component of a photo ID system. Using WDM, TWAIN or DirectX, the camera integrates with most Photo ID software applications. Unlike consumer cameras, the CV27 will last for many years and includes a one-year factory warranty. System Requirements Computer/Operating System: Pentium IV 2.3GHz +, 1GB hard drive, Intel USB 2.0 Host controller; 32 and 64 bit Windows 7 and Windows Vista, Windows XP with Service Pack 2 (SP2) or higher, DirectX 9.0c or above.